By my count it’s been at least 12 years since a holiday movie has earned Classic status (Elf is kind of a sure thing; The Polar Express pretty darn close) and Office Christmas Party is no where near in danger of being added to that hallowed list. It’s just funny enough, which seems to be the way with these things. 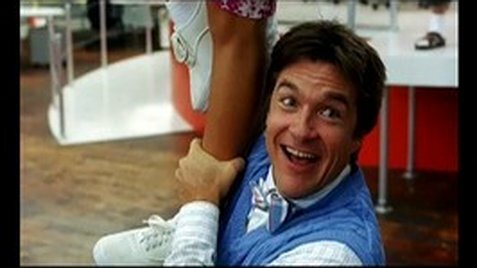 Jason Bateman plays the Jason Bateman character: bland 40-something white dude. Thanks to his horrible boss (Jennifer Aniston), the only way both the company where he works at and Christmas itself can be saved is by turning the office holiday party up a notch – to eleven – and letting the festivities turn near-apocalyptic. Is it a dumb premise? Of course it is. I’m not sure I would have seen this movie at all had I not been deliberately trying to kill time AND had this particular movie not been playing in the convenient slot. Should YOU see it? Not unless you find yourself in similar circumstances. I mean, it’s not awful. Check it out next year on Netflix, maybe. It’s got a pretty good cast and the odd chuckle, so it’s not a complete waste of space. It just wouldn’t quite make it onto Santa’s Nice list, we’ll say. Is that generous of me? Am I in the holiday spirit? Gross. Actually, I’m writing this from my desk, where I am currently going through some post-cruise symptoms, such as feeling my whole office list when I know damn well that I’m firmly on land. My body, however, has not yet adjusted. I am also wrapped up in fluffy blankets and slippers because while my skin has become adjusted to Hawaiian temperatures, we arrived home last night to a winter storm that made our morning commute particularly hellish. Back to the movie: actually, I may as well be done this review. It’s what you expect from a non-denominational holiday mixer where Kate McKinnon is stretching out a 3 minute bit and she’s the best thing on screen. For my office get together, we rent out a suite and watch the Ottawa Senators play some team, and usually get beaten. But there’s food and booze. What does your office do? Do you accidentally get clients high on blow? Bring hookers as dates? Wind up in the hospital? Flee in an epic car chase? Your office party might be a lot more tame than the one in this movie, but I bet the cliche factor is pretty similar, and it can’t possibly be any less original. Ho ho hold onto your money. They usually rerun It’s a Wonderful Life for free on TV. This entry was posted in Movie Reviews and tagged Half-assed, holiday movies, Jason Bateman, Jennifer Aniston, Kate McKinnon, raunchy comedies, shits and/or giggles on December 11, 2016 by Jay.